Caravan Stylist Studio is bringing a new concept to fashion, celebrity, and influencer industries. This place is a great studio to sample product and create buzz within a physical environment and within social media outlets. It’s a one stop shop for wardrobing, hair, and makeup services that is aimed at actresses, musicians, bloggers and other influencers. Caravan Stylist Studio is utilized for lifestyle events such as film screenings, musician showcases, fashion shows, trunk events, and more. Their goal is to provide social media buzz for their sponsors beauty brands. Through brand awareness and personalized glam sessions targeted to the social media influencers of today, Caravan helps grow social content and connections. They want this place to be a place of discovery for many influencers! Many celebrities have walked through the doors of Caravan Stylist Studio some being: actress Alysia Reiner, actress Holly Taylor from FX Network show The American, and actress Amy Paffrath. The services provided are: Makeup Glam Session, Hair Styling Glam, Red Carpet Glam, Full Glam, and Lifeway VIP Glam. Each one lasting between thirty minutes to an hour. Makeup glam sessions include a full makeup look and skincare treatment customized to each client’s needs. During each session, each client is introduced to the products that are used on their face or hair and that way the brands have an opportunity to get buzz off of the influencers of the world! 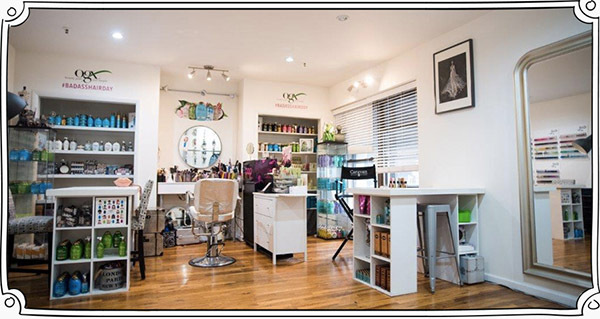 Located inside the Gregory Hotel on 42 West 35th Street, New York, NY this studio is probably where all your favorite influencers are going to get their glam session on. Only through appointments, Caravan Stylist Studio is opened Monday through Friday from the hours of 9am to 6pm.